Job description: I have copy-edited and proofread several PhD theses for students at the School of Oriental and African Studies (SOAS), London School of Economics (LSE) and Central St Martins. Subjects have included Arabic and African literature, law, economics, education and Islamic art. For some of these students, English has not been their first language. I have therefore paid close attention to their idiosyncratic expressions and put these into clearer English, without compromising their individual style and voice. As PhDs are written over a long period of time, inconsistencies are common, so I regularly consult clients about how they want certain aspects to appear in the final version. I have built productive relationships in a short and pressured time period with all the PhD students I have worked with – they have usually been close to submitting and understandably quite stressed. Most of this work has come to me through word of mouth recommendations. 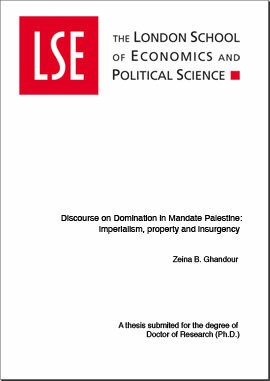 Munizha Ahmad-Cooke proofread my PhD thesis. I was impressed by her professionalism, accuracy, and speed. We had agreed on a rather demanding timeline and managed to keep to it, largely because she quickly turned over chapters and corrections. She was always available for questions and explanations and, beyond the call of duty, provided much support and calmness in those final stressful days before submission. It was a great relief to know that a native speaker had checked my work to make sure that there were no spelling/grammar mistakes and that style was consistent. The end product was undoubtedly greatly improved by Munizha’s work. I thank her for it and warmly recommend her services to anyone.